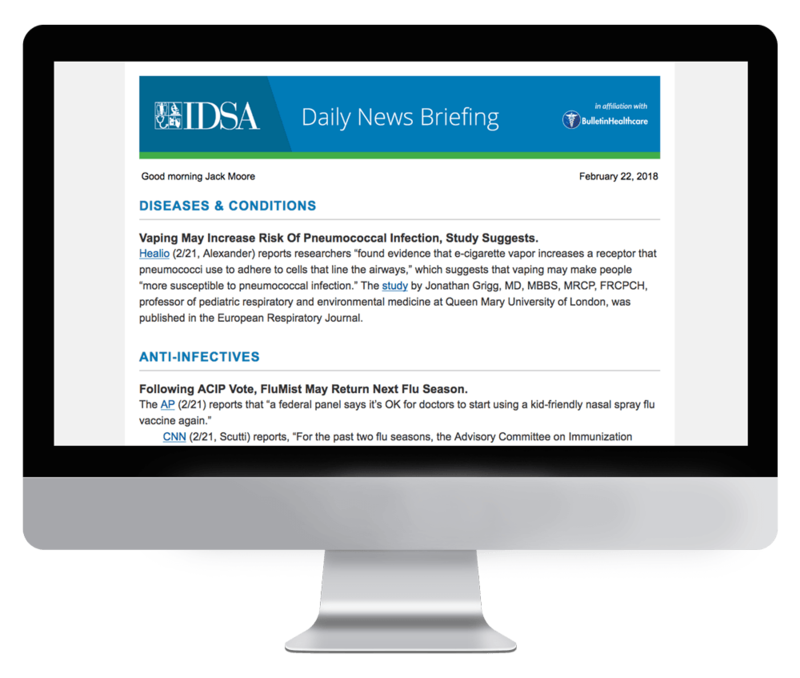 Daily News Briefing is a news briefing tailored to the needs of the members of The Infectious Diseases Society of America, and delivered every morning to the nation’s premier group of physicians, scientists, and other healthcare professionals who specialize in infectious diseases. IDSA’s purpose is to improve the health of individuals, communities, and society by promoting excellence in patient care, education, research, public health, and prevention relating to infectious diseases. Subscription to Daily News Briefing is exclusively limited to IDSA members. If you are a member of IDSA and would like to receive this briefing, please reach out to the association directly.